Since 1977, we've had the combined experience in selecting and fine-tuning apartment mortgage loans for your specific needs. Apartment mortgage loans are categorized as commercial mortgages. They are taken out by companies and businesses to buy apartment buildings. 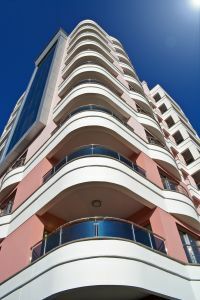 There are various factors to consider when one is attempting to decide which type of apartment mortgage loan to take out. You need to find the right mortgage company that will fund the necessary amount to fund the project. While some mortgage companies have a maximum loan amount limit of $5 million, which is not sufficient to fund the bigger apartment buildings; therefore, it's important to connect with the right brokers. There are numerous loans for apartment complexes of all sizes. An important fact to keep in mind is that the total amount of money required for an apartment mortgage loan is a bit higher than for a smaller property, such as a home. When looking for an apartment mortgage loan, interest rates are equally important and are available fixed or variable, depending on qualifications and need of the client. Ocean Pacific Capital has the apartment mortgage loan for almost every borrower, whether you are a real estate developer or investor. Based on individual needs, our clients can choose the type of apartment mortgage loan that is best suited for their apartment size and the number of units. Since 1977, Ocean Pacific Capital is an independent and licensed mortgage broker specializing in all types of residential and commercial mortgage loans. Whether you are looking to purchase, construct, or refinance an exisiting apartment, we can help you obtain the necessary financing. For more information, email or call us today to speak to one of our experienced commercial loan specialists. We look forward to helping you.